The treatment of surface water requires the removal of suspended solids as well as debris and sediment. Since the water is open to the environment, there are pathogens and viruses that also need to be removed before the water can be distributed to the community for drinking. The turbidity of the surface water is the most significant determinant of the equipment solution for the best results. Membrane Systems – a full spectrum of membrane filtration systems are available for removal of dissolved organics, salts and turbidity. Our designs allow for continuous removal of contaminants while minimizing fouling. 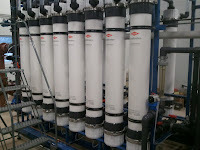 Nanofiltration, reverse osmosis and ultrafiltration membranes each remove the necessary solids, turbidity and pathogens such as giardia, cryptosporidium, viruses and e. coli. Clarification Products – Tonka can combine mixing, coagulation, clarification and sludge removal in one basin or vessel. Our treatment plants are designed to meet specific applications with respect to rise rate, detention times and sludge collection/removal. Tonka offers several clarification products depending on treatment goals: RotaClear™, SpiraClear™, Heli-Cone™ and conventional upflow solids contact clarifiers. Gravity Filters – Tonka offers superior performance with superior strength. Our gravity filter is built with the strongest underdrain in the market. Our Centralators™ and steel filters with Tonka engineered media are state-of-the-art for removal of turbidity and other contaminants. Packaged Treatment – Tonka’s packaged surface water equipment meets water treatment needs in a customized system. The process also provides adjustable flocculation as well as media clarification and filtration, all in a compact, high performance system. Tonka’s Unitized Treatment System™ (UTS™), ClariFlote™, Clari-Filt™ and Dualator® products provide a modular design with single pumping and low chemical costs. 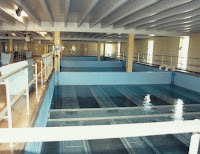 As with many Puerto Rican water treatment facilities, the plant at Cidra uses surface water for the raw water supply. Puerto Rican surface water by nature experiences widely fluctuating turbidity levels related to rainfall and watershed conditions. 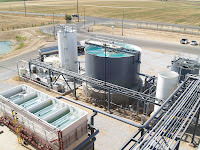 At a designed flow rate of 7.5 MGD, a carefully designed and operated water treatment plant using Tonka’s Heli-Cone™ upflow solids contact clarifiers and Tonka Centralator™ filters was installed for the Cidra facility that consistently meets USEPA turbidity standards for drinking water. The Cidra installation consistently reduces influent turbidity spikes of up to 1000 NTU and beyond, and produces filtered potable water well within the USEPA and Puerto Rican Health Department standards. Hardy County needed to provide fresh drinking water to a new school, residences and businesses in the town of Baker, WV. In order to achieve this, the Parker Hollow Reservoir was constructed. The water from Parker Hollow requires treatment to remove turbidity, total organic carbon, waterborne bacteria and viruses. To accommodate these requirements, Tonka installed a Unitized Treatment System (UTS) with Ultrafiltration membranes. The surface water treatment plant is capable of producing over half a million gallons of water per day, making it a reliable water source for future growth in the area. The raw water results of the plant reduced the turbidity from 4.1-29 NTU to less than 0.1 NTU.